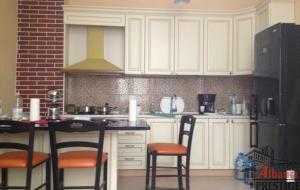 We are pleased to bring you for Sale 3 bedrooms apartment, with a surface of 150sqm, located at "Komuna e Parisit" Street. The apartment is a new construction, based on the third floor with elevator and it comprises of three bedrooms, living room where kitchen with all needed equipment are included attached the eating area with table and 6 chairs, two bathrooms with shower as well as two balconies where one of them has a surface of 35sqm and many natural flowers creating really relax place. We are pleased to bring you for Sale this beautifully presented three bedrooms apartment, with a surface of 140sqm, located near Diplomat 1 Hotel. The apartment is a new construction, based on the sixth floor with elevator, oriented to the South-West and it comprises of three bedrooms, living room, hall, two bathrooms with shower, one balcony as well as a parking space(garage). The apartment is not furnished, is located in an area that is more preferred since all amenities are offered and that serve to have a quiet and comfortable life. 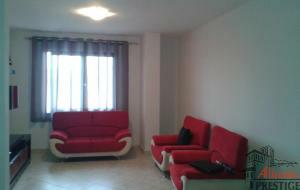 Available for Sale 2 bedrooms apartment, with a surface of 108sqm, located at "Budi" Street. The apartment is a new construction, based on the fifth floor with elevator and it comprises of two bedrooms, living room, where kitchen with all needed equipment are included attached the eating area , two bathrooms, one balcony as well as garage for 2 small cars. 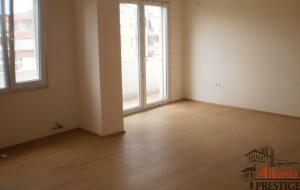 The apartment is a new construction, oriented to the South-West and is located very close to all the amenities. We are pleased to bring you for Sale this beautifully presented 2 bedrooms apartment, with a surface of 77sqm, located near the Botanic Garden and Crystal Trade Center. The apartment is a new construction, based on the third floor with elevator and it comprises of two bedrooms, living room, where kitchen with all needed equipment are included attached the eating area with table and 5 chairs, one bathroom with shower and window as well as a balcony. 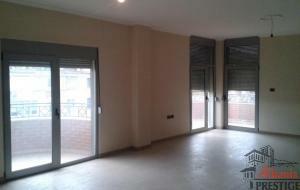 Offered for Sale and for Rent three bedrooms apartment, with a surface of 190sqm, based on the second floor of a new building, located very closed of the Wilson square. The apartment is new construction, with regular documents, with top quality work carried out within in it, starting with the floor, doors, electrical and hydraulic installations as well as new and modern equipment of bathrooms. 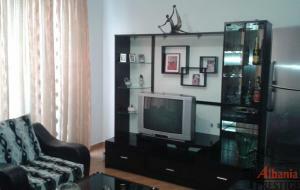 The apartment consists of three bedrooms, a large living room, two bathrooms and four balconies. We are delighted to offer for Rent and for Sale this beautifully presented one bedroom apartment in a new building, with surface of 90sqm, based on the second floor. 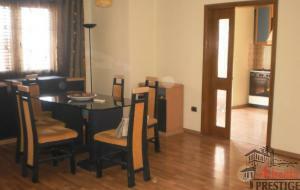 Beside one bedroom it offers a living room, separated kitchen with all needed equipments, one a bathroom and a balcony. The apartment is partly furnished, oriented to the West, are provided 24hr electricity, water,telephone/ internet connection and has security present for 24 hours a day. Offered for Sale this beautifully presented three bedrooms apartment, with a surface of 194sqm, based on the nine floors with elevator. 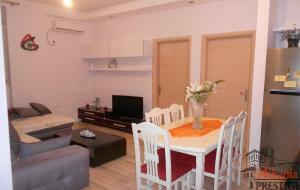 The apartment is a new construction, located in "Dibra" Street, here in Tirana. Situated one of the most requested areas and very close to all the amenities that the area offers this property remains a very good investment for anyone who is interested in real estate of property. In a new building offered for sale two bedrooms apartment, with a surface of 110 square meters, based on the third floor with elevator. The apartment is located near the Zoo and it's comprises of two bedrooms where one of them is large and involved and a wardrobe, living room where kitchen with all needed equipment are included, two bathrooms as well as a balcony with views towards the City..